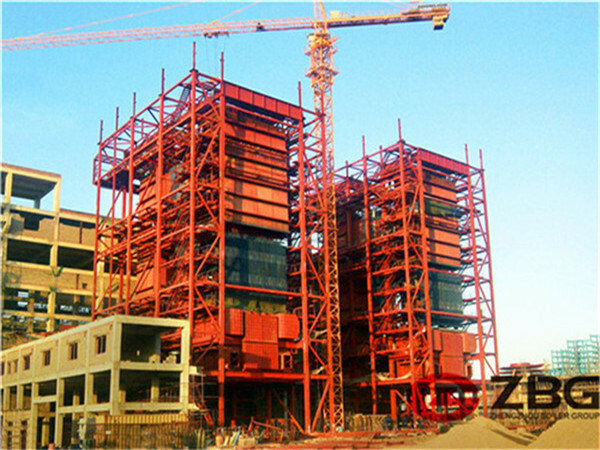 The circulating fluidized bed boiler combustion technology is used by us, we have the experience of producing coal circulating fluidized bed(CFB) boiler for many years, combing with some advanced operating data, while relying on clean-burning technology theory in Tsinghua University. In the combustion system, the coal feeder feeds the fuel into the furnace, and the air used to combust is provided by the primary and secondary air draft fans. The primary air flows through the air-preheater into the cold air chamber from the two sides air duct, and finally flows into the combustion chamber from the air cap in the water cooling air distributor. While for the secondary air, it is pre-heated by the air-preheater, and then sprayed into the furnace by the nozzles at the back wall of the furnace to feed the air and stir and mix the fuel, the fuel and air is fired mixed on the fluidized condition in the furnace, and make thermal transfer with heating surface, the flue gas is combusted further in the up part of the furnace. The flue gas in the furnace(bring with large amount of unburned particles) lease the heat further in the furnace. 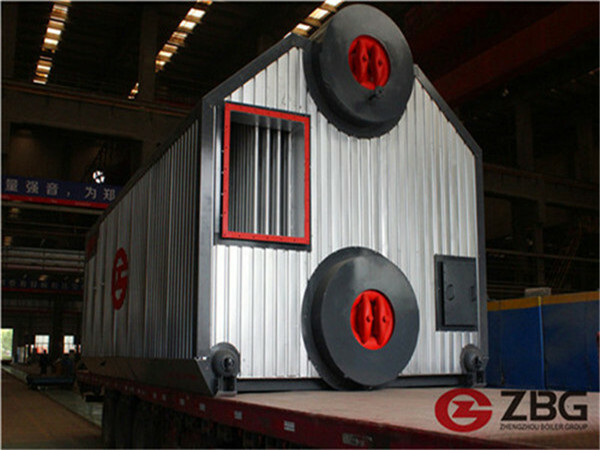 The flue gas which brings lots of fuel is sent to the insulation separator from the furnace exit, then most of the fuel is separated by the separator, and then through the reverter into the furnace again to realize the combustion cycled. The separated flue gas flow through the reversing chamber, high-superheater, de-superheater, economizer, primary and secondary air pre-heater and then exhausted out from the air duct. 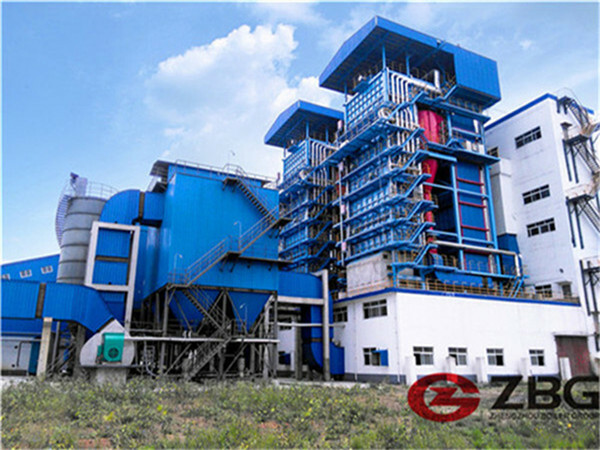 Because it adopts circulating fluidized bed technology with less slag and ash, it has a relatively high value of utilization, it suit more for the countries which has a restrict requirement to the environment. On the conditions that emission value, fuel, limestone and coefficient of excess air are fixed in 1.2, B-MCR and Ca/S mole ratio are fixed in 2.2. To ensure the quality of steam and water in outlet of CFBC boiler, strict control of quality of steam and water in boiler should be applied, especially the quality of feeding water. 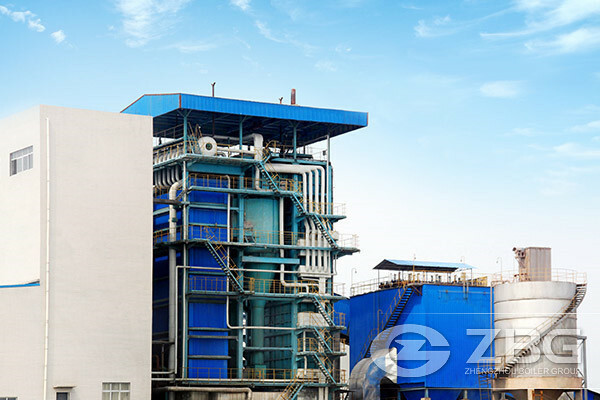 The quality of feeding water, boiler water, attemperating water and steam should be in line with GB/T12145-2008, steam and water quality standard for thermal power’s and steam power’s equipment.